These are just some examples of the over-the-top media narratives that are circulating on TV and in the blogosphere these days. Given the media hysteria surrounding any restrictions or regulations on “reproductive rights,” one could understandably be led to believe that most, if not all, Americans support the unfettered right to abortion. In their criticism the media is woefully oblivious to the truth: the will of the people is being expressed through our democratically elected legislatures – and it reflects the momentum of the pro-life movement. Pro-life women are characterized as being mired in “self-hate” for taking a stand for life, while Texas Senator Wendy Davis is praised for her filibuster of a proposed law banning most abortions after 20 weeks. 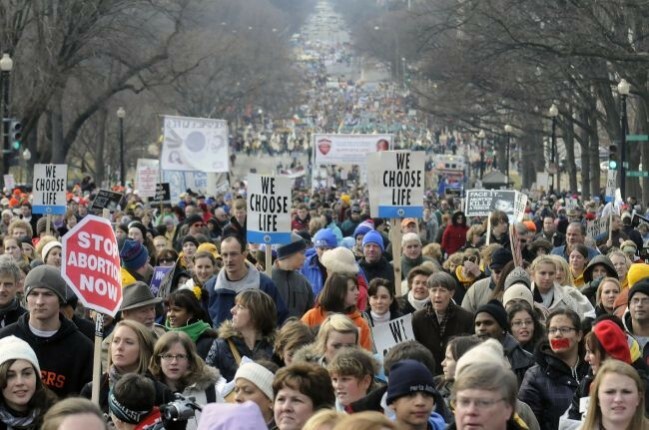 Protestors and abortion proponents holding grotesque and graphic signs receive widespread media coverage, while political commentators such as Kirsten Powers and NBC’s David Gregory are vilified for bucking the media narrative and questioning the arguments of abortion proponents. Despite the outrage coming from abortion proponents, fueled by slanted media coverage, polling undermines their message of “abortion on demand, without apology.” A National Journal poll found a majority of women support a ban on most abortions after 20 weeks, and a Huffington Post poll of men and women found support for the ban at 59%. After Davis’ failed filibuster and a special legislative session, Texas Governor Rick Perry signed into law a bill that bans most abortions after 20 weeks and includes abortion clinic safety regulations. The Texas ban follows North Dakota and Arkansas, which ban most abortions after six and 12 weeks, respectively. Several other states have passed or are in the process of passing pro-life legislation, such as Wisconsin, Ohio and North Carolina. 2013 has been a momentous year for the pro-life movement, with legislatures around the country enacting pro-life legislation. Despite wildly out of touch media efforts to downplay or dismiss the horror and tragedy of abortion, Americans know the real story – and they are taking a stand for life.